This gorgeous single story home in The Pepper Ridge Community of Rialto features 2 bedrooms, 1 bath and 2-car garage with direct access. A great floor plan that is light & bright throughout. Fully renovated kitchen with granite counters, stainless steel appliances, 4-burner stove and microwave, multi-cycle dishwasher and plenty of cabinetry for all your pots and pans. Gleaming hardwood and tile floors throughout. Spacious master bedroom with hardwood floors and crown molding. Gorgeous backyard with a beautiful patio and built wet-bar. This property is very close to shopping centers, schools, and parks. Jehue Middle School and Rialto High School are the designated schools of the area. 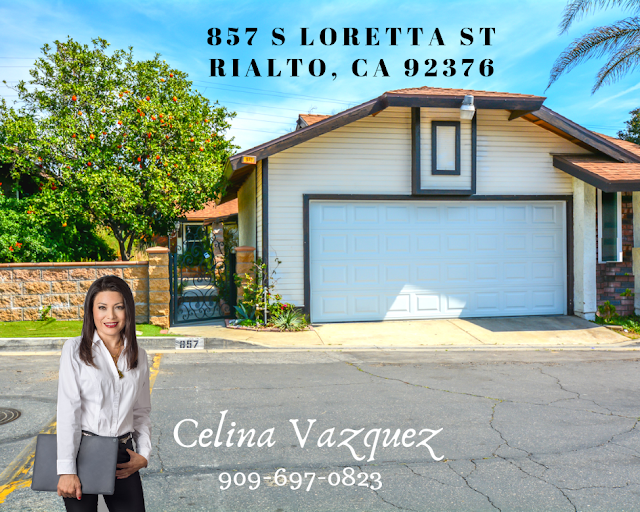 For more information about this property contact Celina Vazquez @909-697-0823.